Showing 2 posts from February 2010. Federal Court decisions are “of great persuasive weight in the construction of parallel Delaware rules” due to the analogous nature of the Court of Chancery Rules and the Federal Rules of Civil Procedure. Cede & Co. v. Technicolor, Inc., 542 A.2d 1182, 1191 n.11 (Del. 1988). Interesting. 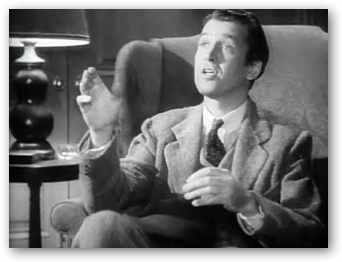 Or, as Jimmy Stewart would say, "Well, that's very in'resting." It may not mean the apocalypse, but it surely means Hollywood is OUT of ideas. Who would watch a movie about eDiscovery? I did, and so should you. Veritable eDiscovery celebrities Search King Jason Baron and Blog King Ralph Losey teamed up to create the short embedded video below titled "e-Discovery: Did You Know?" Maximize the video, turn down the lights, and turn up the speakers (music by Darude)—if you’re at the office, I’d suggest going to the headphones. I actually felt cool watching this, if only for a second. Enjoy!